Insurance adjustors help insurance companies by properly valuing damage claims and looking out for fraud. In the insurance industry, there is a lot of fraud, and in some cases, the adjustors are the ones engaging in it. If you are engaging in criminal acts while employed as an insurance adjustor, you could lose your license. Without your license, your career is over. You lose out on your earning potential and you essentially have to start over in a new career field. Read on to find out ways in which your license could be suspended or revoked and what happens next. According to Florida Statutes 626.207, an insurance adjustor can have his or her license suspended for seven years for engaging in any misdemeanors in the financial services field. This is also true if the person commits any felonies not related to the insurance or financial services field that are not in the first degree. If the felony involves morality issues, the suspension period increases to 15 years. While your license is suspended, you must stay in compliance with the law in order to have an opportunity to get your license reinstated. you are limited in your capacity to work in the insurance industry. This means that you cannot continue to work in positions that require you to have a valid license. You cannot be employed by an insurance agency or adjusting firm, even as an officer or director. You also cannot be named or affiliated with a bank account related to an insurance agency or adjusting firm. Note that you also cannot allow someone else to use your license for their benefit. Once your suspended has ended, you do not automatically receive your license back. You will have to file an application to get your license reinstated. You will be held to the same conditions as a new applicant. You will be required to list the administrative action on your application or face further penalties. It will be up to you to prove that the crime that occurred will not happen again. If it is believed that you have the propensity to commit a similar crime in the future, your application will be denied. Insurance adjustors have a duty to be honest and truthful in their work. However, they sometimes try to get away with dishonesty for one main reason: money. If you have been found guilty of a felony, you could have your insurance adjustor license suspended or revoked. Don’t fight this battle alone. 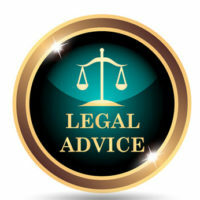 Get legal representation from the Law Offices of David P. Rankin, P.A. I am a Tampa administrative lawyer who focuses on licensing issues for insurance adjustors and other licensed professionals. For a free consultation, contact my office today by calling (813) 968-6633.